If you are finally biting the bullet and taking steps to migrate from a traditional, on-premise file server to a cloud provider, then you won’t miss Dropbox Business on your search. Dropbox is aggressively asserting itself as the go-to cloud based provider for Business Storage, File Sharing and Collaboration; all of which are becoming increasing more relevant to the global business world. So exactly what are the Benefits of Dropbox Business? And how it will simplify and streamline efficiencies in the workplace? File sharing and collaboration is by far the most talked about feature of Dropbox. 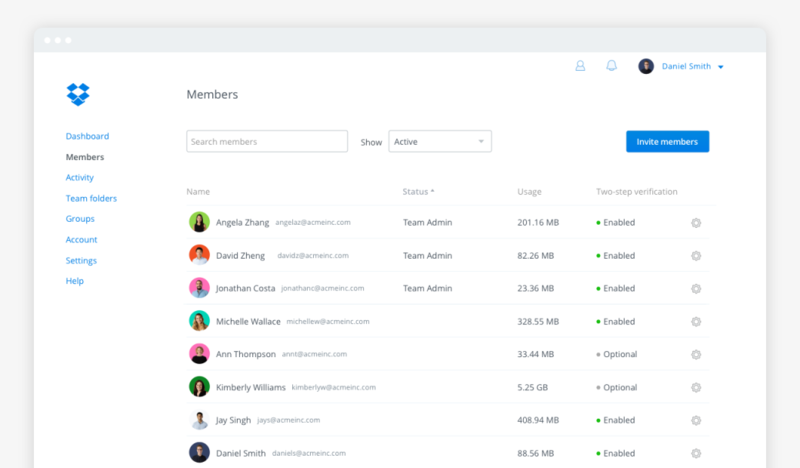 Anyone with a Dropbox account can share files and collaborate on documents, which is enabling businesses to work together seamlessly. Contributors can comment and reply to tasks left on documents and respond at their own pace, tracking updates as the file evolves. You won’t need to worry about regular back-ups or saving the latest versions of your documents to your desktop. Files in Dropbox are automatically synced between your devices making remote access both simple and efficient. Previous versions of a document can be easily recovered and accessed from anywhere. Dropbox Business users also have the additional benefit of 120 days to recover previous versions and deleted files. The threat of a cyber attack is a very real prospect today and implementing the correct security measures to protect data is essential. Dropbox store your file data using 256-bit AES encryption and use a SSL/TLS secure tunnel to transfer files between you and them. You can securely access files and folders any time from our desktop, web, and mobile applications. Alongside this, both Dropbox and external third-parties set out a series of regular and rigorous measures to test its vulnerabilities. Should it be necessary, Dropbox Business allows you to rollback data and access recent versions of you files. This is incredibly useful in the event of a worst case scenario Ransomware Attack. IP6net are Dropbox Select Resellers. For more information on how we approach on-premise file server migrations to Dropbox Business get in touch with a Dropbox Business specialist.